Maybe you thought you’d cured Wally of his bad habit of wandering off. Not so! With a whole new book to vanish into, Wally is up to his old tricks again! 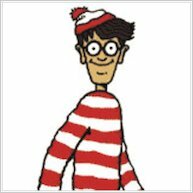 Remember: he’s got glasses, a bobble hat and stripy jumper. And he’s somewhere on each page in the book. You’ll have to go into the past – and the future – to find him, journeying from the days of the cavemen to Ancient Egypt, Ancient Rome, Viking voyages, the Crusades, the Middle Ages, the Aztec empire and a space colony too. With so much to look at, do you think you can find Wally again… and again… and again? dosent have free magnifying lens, the other wheres wally does! 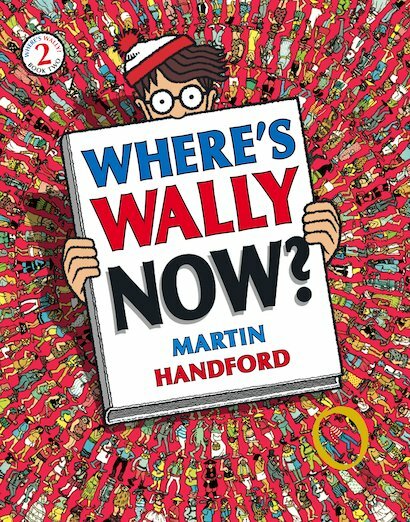 Where’s Wally books are SO much fun, whether you do them on your own or with a friend. I love them! i recommend this for car journeys!!!!! were`s wolly is a fantstic book to get everyone in the family together to understand each other and to get you brains working ether first thing in the morning or doing it in youe bed.